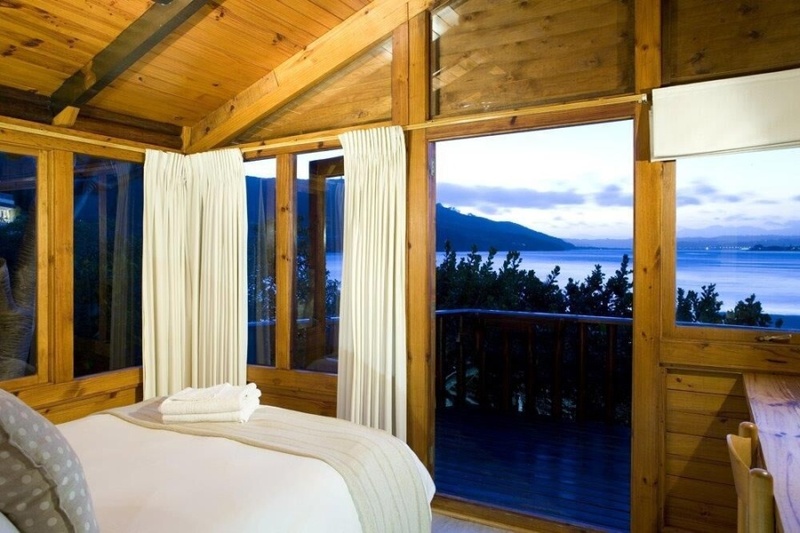 Under Milkwood Self-Catering Chalets have a majestic position on the shores of the Knysna Lagoon, set amid indigenous Milkwood trees. Each of the sixteen timber chalets has two bedrooms – a double and a twin room, a fully equipped kitchen, sundeck and barbeque facilities. All chalets have access to the private lido and beach, where guests can enjoy lounging on private sunbeds, swimming, kayaking, paddle boarding and walking across the lagoon at low tide. The Knysna Heads and several restaurants are situated nearby. There's currently no specials at The Milkwood Collection: Under Milkwood Self-Catering Chalets. There are no conference facilities at Under Milkwood Self-Catering Chalets.